The growth and development is a continuous process of every dynamic society. The population grows, the standard of living increases and so rises the expectations. The rural masses often tend to be influenced by the economic 'demonstration effect' and shift to urban areas while the lower middle class or the middle class expands usually on the outer peripheral of the city /town areas. This is a continuous process leading to creation /expansion of newer urban areas. This expansion should be ideally planned, equipped with basic civic/economic amenities namely drainage, sewage, road, market and parks etc. 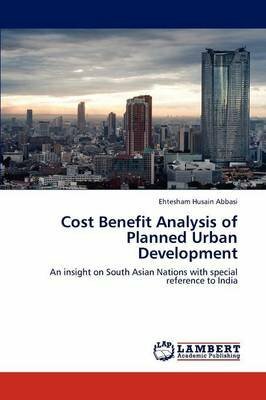 The planned and unplanned areas have different effects on the Cost-Benefit model. The positive effects of planning an area are manifold while leaving an area unplanned or not investing in an area has enormous negative impacts. Interestingly, findings for Indian cities can be replicable in other South Asian Nations namely Pakistan and Bangladesh (due to geographic, demographic and sociological similarities).